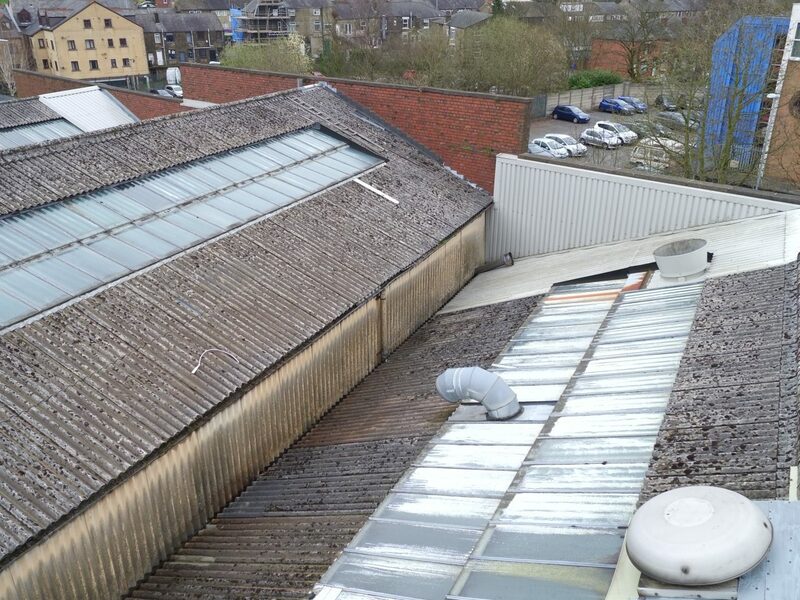 Inspecting the roof of large a building safety and accurately used to be a time consuming and expensive exercise. 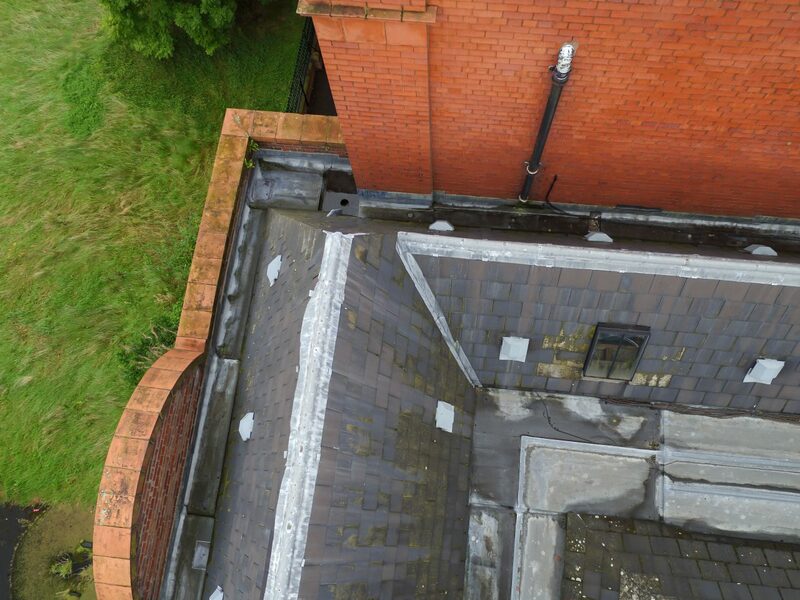 Today, drone roof surveys bring significant cost-effectiveness to roof condition inspections and structural reports. 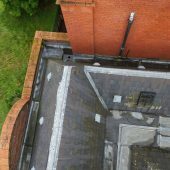 There are also significant down-time and safety benefits in utilising cutting edge drone roof survey technology. 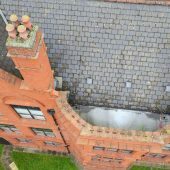 We can also offer you the highest quality service and the lowest drone roof survey costs in the industry. 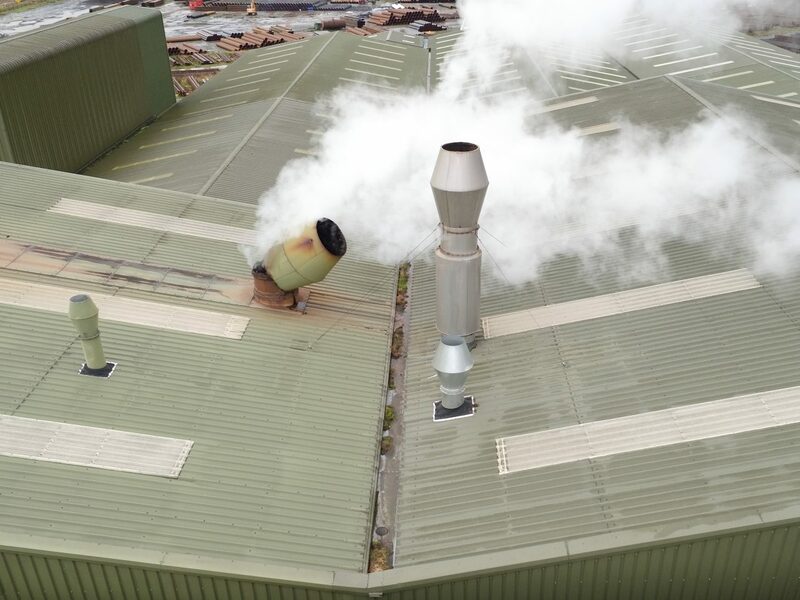 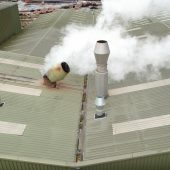 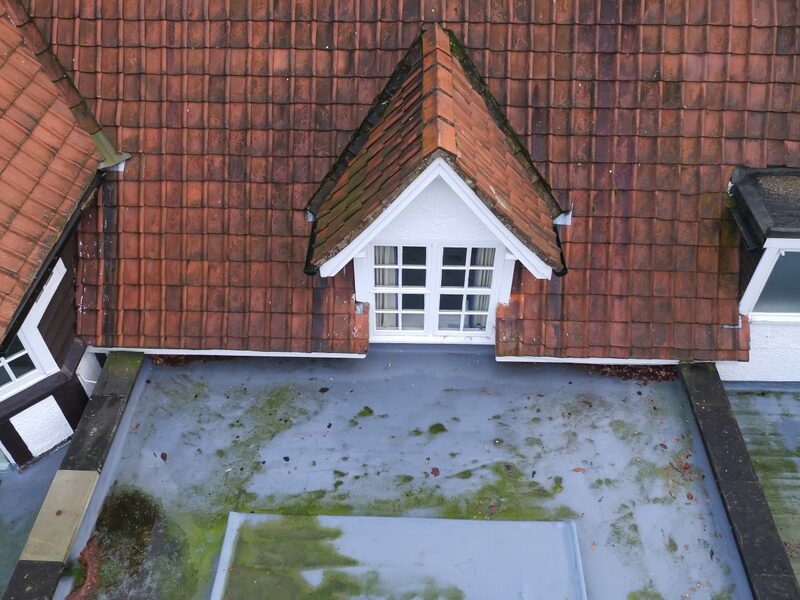 The clear and detailed inspection photographs recorded by our drone teams will put you fully in the picture as to the condition of your roof without the need for hiring costly plant, erecting scaffolding, or requiring staff to work at height. 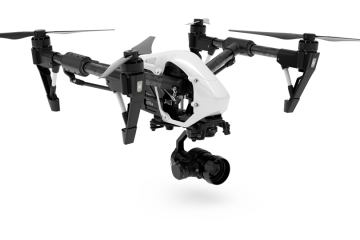 By using the latest drone photography technology, aerial building inspections can be accomplished in a fraction of the time normally required for such an exercise. 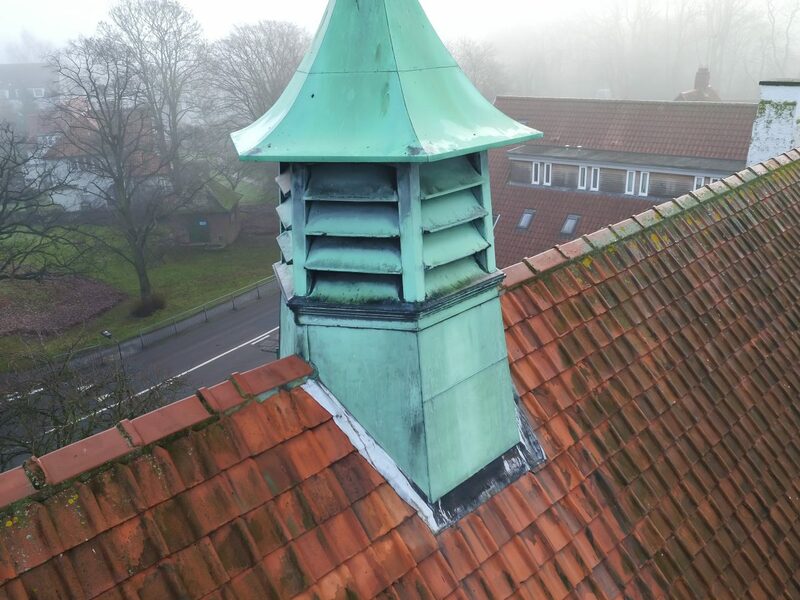 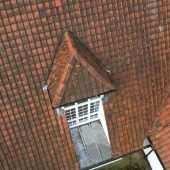 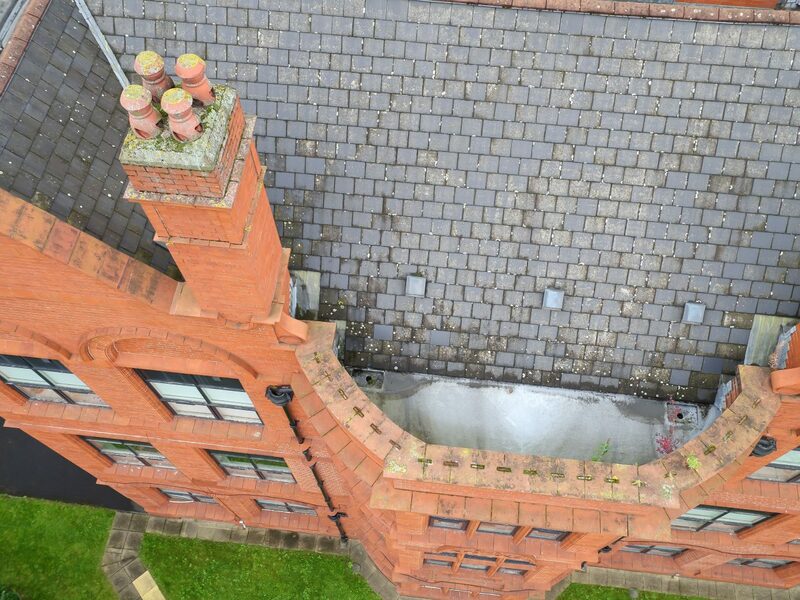 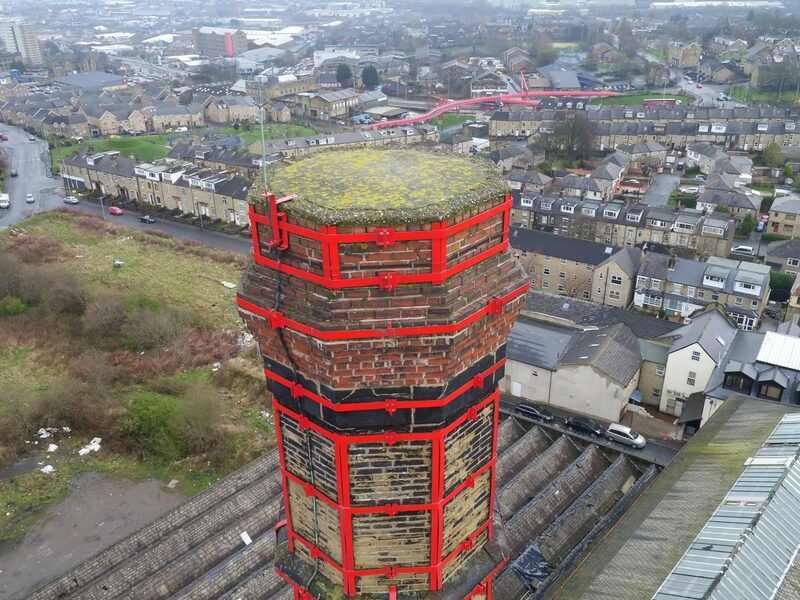 The drone survey will help identify structural problems with flat roofs and defects on gables, gutters, parapets, pointing, lead flashing and chimneys. 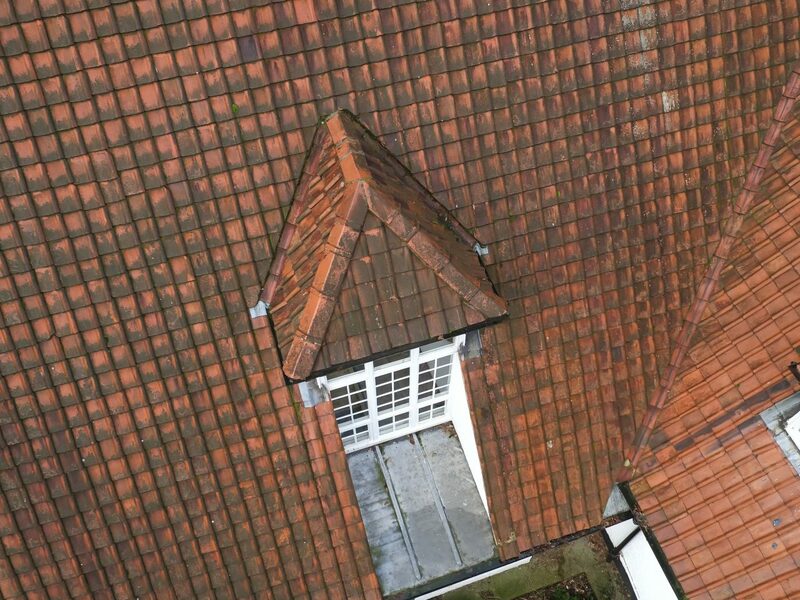 Studying and organizing large numbers of inspection and survey images can be complicated and time-consuming. 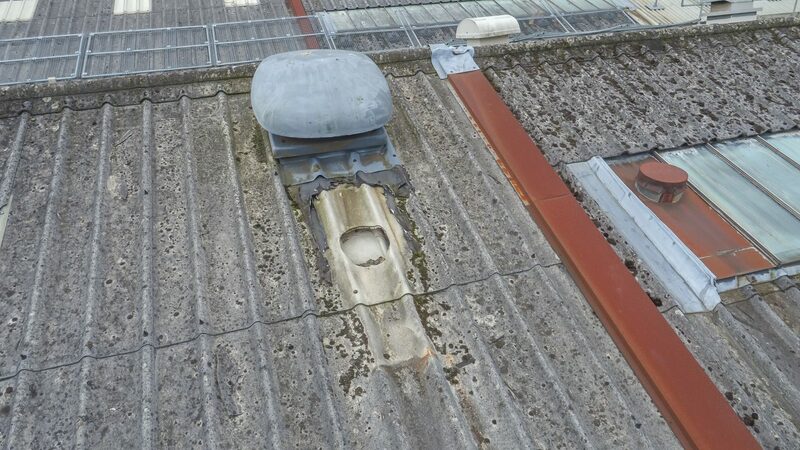 Our market leading Inspection Image Analysis Portal can now provide a solution to this problem. 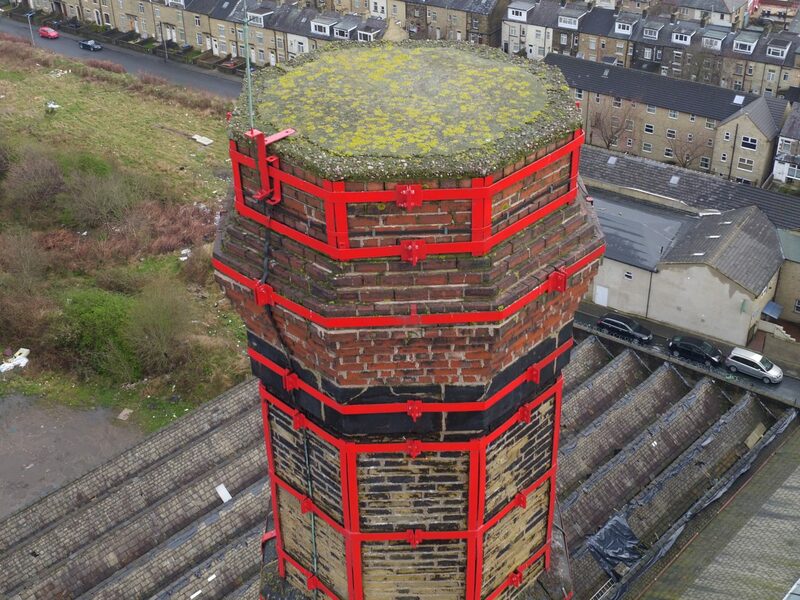 On completion of the drone survey, we can now upload the images to a specialized cloud portal. 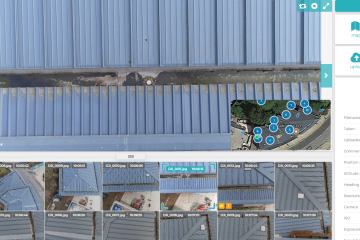 Within the browser-based portal, you can view and zoom into the high-resolution photographs individually. 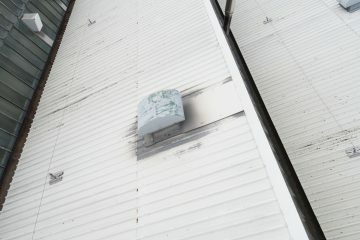 The exact location of the GPS tagged image is then simultaneously displayed on the satellite map. 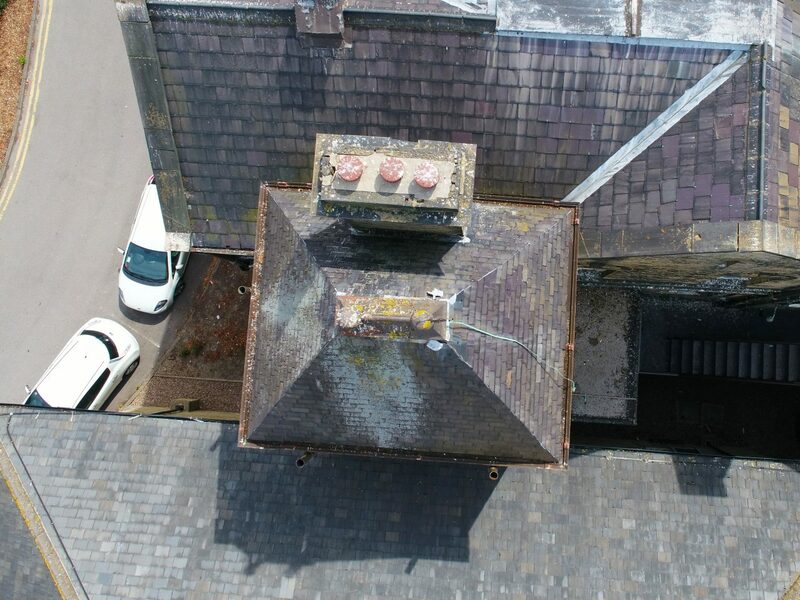 Our drone roof survey pilots operate from a fully independent survey support vehicle, encompassing battery charging and image processing facilities. 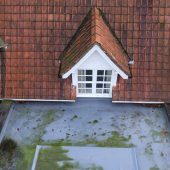 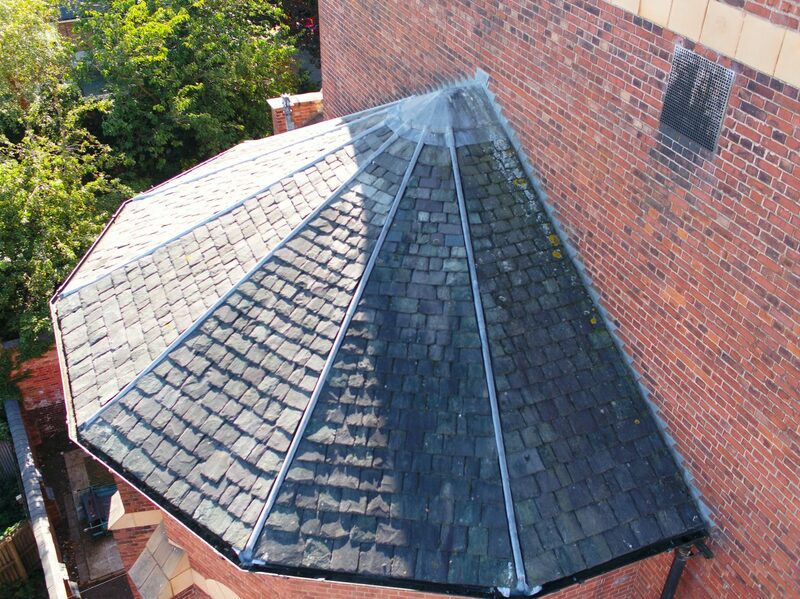 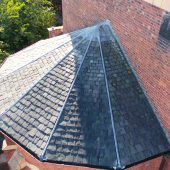 With all the latest equipment at hand, we can provide fast low-cost roof surveys in any part of the UK. 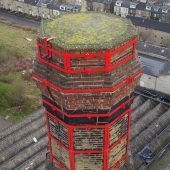 Fully insured with £5 million public liability cover and using CAA licensed drone pilots, we deliver accurate and high-resolution aerial photography and video of a diverse range of structures including factory roofs, industrial and residential chimneys, bridges, river banks and harbour walls. 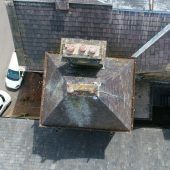 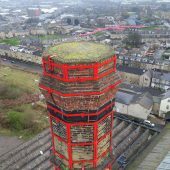 The drone roof survey digital images and structural report we deliver enables a detailed examination of the structure and serves as a permanent record. 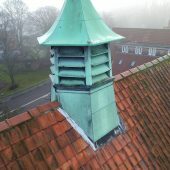 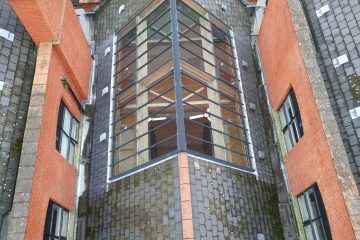 In addition to detailed images of your roof area, thanks to our partnership with a leading engineering consultancy, we can also provide you with a full structural report for any type of building, high structure or chimney. 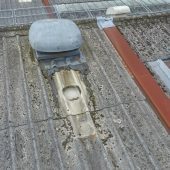 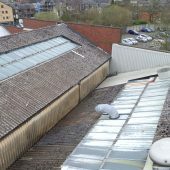 Today, more and more clients are finding that drone roof surveys are a far safer and more cost-effective way to inspect the condition and safety of roof spaces of commercial buildings.